You are here: Home » Blogs & features » Panos London Blog » 13th February: what’s in a date? 13th February: what’s in a date? 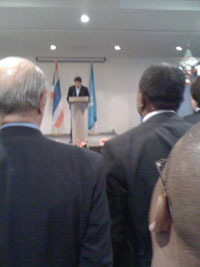 It’s a rare treat to be able to say I was there on the day, but on November 1st 2011 I voted through the Spanish ambassador’s proposal for World Radio Day at the UNESCO general conference on behalf of the UK government. 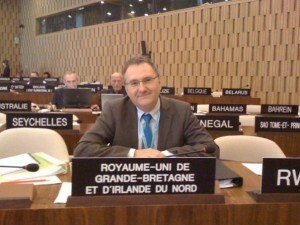 With just a staff of two, the UK’s permanent delegation to UNESCO is physically unable to attend five parallel budget debates (education, natural science, social science, culture, and communication & information), therefore directors of the UK National Commission for UNESCO, such as myself, are invited to represent the UK’s position. This is no casual invitation, I understand we become part-time diplomats, by written approval from the Foreign Secretary. It seemed a simple enough matter to approve this world day that had been requested by Academia Espanola de la Radio. The UK’s only concern was that this was not adding any budgetary pressure onto the cash strapped international body, especially three days after UNESCO members had voted to allow Palestine to become a full member of the UN body – which has subsequently seen the US, and Israel withdraw or freeze 25 percent of UNESCO’s funding. The UNESCO Secretariat confirmed this had no cost implications, and that each country could celebrate the day as it wished. 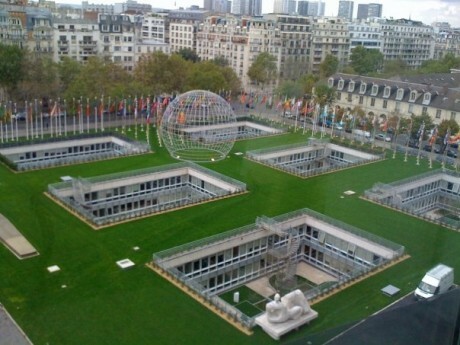 However, this is UNESCO, and this is the world of consensual politics. This means that as a global standards organisation, UNESCO approves activities on which everyone agrees. Voting in these meetings is frowned upon and is deemed to be a failure of the chair. So whether the topic is about stopping the killing of journalists or the limitation/expansion of freedom of speech, the Islamic Republic of Iran, the Holy See and Papua New Guinea all need to agree on what’s being proposed. So what can possibly be wrong with World Radio Day? In the end it was not the concept of the day itself that was the problem, but the preamble. As a ‘volunteer diplomat’ and a professional journalist I find the need to list a whole set of conditions to do something as rather arcane. But preambles are a tried and tested diplomatic structure that allows 191 people who barely know each other, speaking five official languages and who only meet every 24 months to understand why they are being asked to make a decision. An essential of any preamble is the inclusion of a justification of why the date has been selected. And this is where time itself began to slip. The proposal came to the room with three options. World Radio day could be 6th October the birth in Canada of US citizen Reginald Fessenden, inventor of audio broadcasting in 1866. The second proposed date was 27th July, which commemorated the first public wireless transmission in London of Morse Code by Italian Guglielmo Marconi in 1895, and finally a more unusual choice was 30th October – the day when in 1938 US broadcaster Orson Welles broadcast live The War of the Worlds radio play. Although the reported panic linked to this live broadcast are now thought by radio historians to have been wildly exaggerated by the New York tabloid press who feared the repercussions of the recent invention of radio on their future job prospects … it still remained an odd choice for a world day. Would World Cruise Shipping day be on the day that the Titanic sank? So it seemed we were making progress, from three dates we were down to two possibilities. My eagerness to make a quick decision was primarily based on the fact that Day 2 of this 3-day gathering had run over. Not by a few minutes, but by four hours. The previous night we had been in session until 9pm. And yes, we were in France, so there is a three hour lunch break, so it was technically only a nine-hour working day. But my hopes were high that we could get through this vote. As did the chair. There was one amendment from the Russian Federation, but it was short and concise. Trying to make up time the chair suggested we went straight to the debate, but the Russian Federation was keen to talk about their amendment, and with that a fascinating (and lengthy) global history of the development of radio unfurled. The Russian delegation suggested that the name of Russian engineer Aleksandr Popov be added to the citation. Popov was the first person to demonstrate the practical application of radio waves. This then provoked the Serbian delegation to also suggest Serbian-American Nikola Tesla whose theoretical work formed the basis of wireless communication. Tesla was a Croat who grew up in Serbia, so it was endorsed by Croatia also. Not to be outdone the Brazilian delegation recommended 27th August as an alternative day. On this day in 1920 Sociedad Radio Argentina broadcast Richard Wagner’s Parsifal opera from the Coliseo Theater in downtown Buenos Aires” via Radio Cultura – the world’s first radio station. But trumping everyone date-wise in the room the Indian delegation asked for the day to recognise the birthday in 1858 of Bengali Jagdish Chandra Bose, the University of Calcutta professor who was the first person to demonstrate remote wireless signalling and to use a semi conductor to detect radio signals. So with a plethora of radio pioneers, who to choose? It seemed like consensual diplomacy was going to force us to debate well beyond the essential official translators end of shift. And yes, just like you, I have never listened to this station, but it was a non-divisive decision that allowed consensus and means we can now all celebrate the wonder and power of radio. It’s great to welcome the first World Radio Day. Interesting and breezy piece on the hard bargaining involved international diplomacy. Settling for 13th February is great.